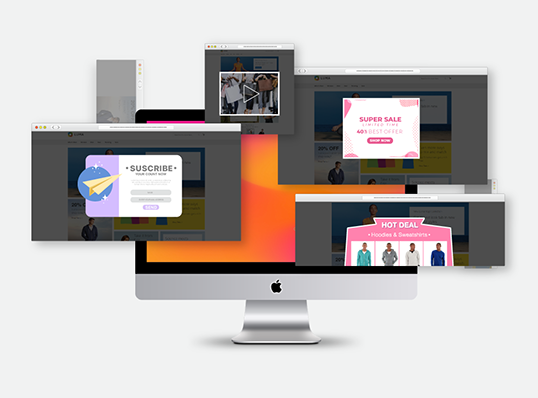 Own This Charming Extension to Generate Stunning Pop Up for Your Sites! Target popup to customer groups and store views. Lightbox, or popup ads is annoying, even the father who invented it has apologized for the unpleasant it causes according to Forbes, mostly because it interferes roughly, or to its worst, reluctantly forces users see what they do not ever wish to see. However, it can be also referred from the fact that the tool has real effectiveness to compel attention from users, which is powerful yet easier than most tools. In fact, popup intentionally used by merchants within site could prove many positive impacts. It is an indispensible way of blocking customers, showing them marketing messages, guide them through promotions, product catalogs, or one way to another, collect their mail address. Back and forth, it’s the matter of how relevant messages are and the delivery manners that arouses good or bad response from the users. As a famous example of Nikki McGonigal, using popup raises her 1,375% more sign ups than the sidebar form. Ultimately, popup plays an important role and regards as must-have marketing method in ecommerce. Notwithstanding, Magento does not support to set up one, in default. Pop up is therefore the extension of everlasting demand. And many more due to highly configuration of WYSIWYG editor and CSS for content of the popup. Providing each web visitor groups have different approach, every pop up can be set to reach to distinguished groups and storeviews. For example, newsletter popup may be only in need to shown for not-logged-in customers to gain more subscribers. I am impressed with a feature: popups can be displayed in various places of a page. It is definitely the best solution for websites which want to run more programs on a page only. Keep up your work BSS guys! 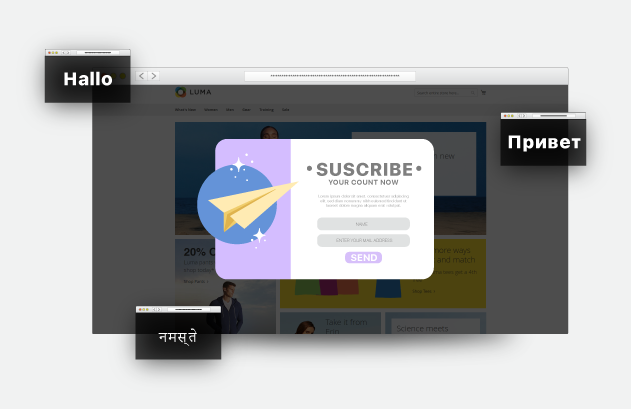 In my opinion, this is one of the best Popup extension in the market. I like the way you allow popups appear based on specific rules and conditions. Recommend to install! It is a better extension if you can improve more functions. I think so. When I use it for my website, all functions meet my requirements but if there are some additional, advanced features, this module will be more perfect than ever. Looking forward to updates and new features! You made a very nice demo that helps me easily test functions of this extension. Although I had some troubles with it when using, all are quickly resolved by the support team. Therefore these problems didn't have bad impact on my site. I can get all beautiful popups on my website! I bought this extension when a friend recommended for me. He has been using it and when I visit his website, I ask him which extension he is using to have nice and flexible popups. Therefore I bought your extension to install on my site. Now it is running very well as my expectation. Highly recommend! I bought it 2 months ago and I had some issues with it because it has a conflict with one of my module. I asked BSS support team to solve problems. 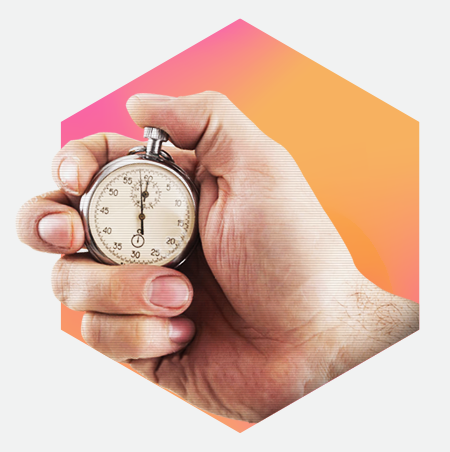 They are very enthusiastic, support quickly and solve the problem in 24 hours. I highly appreciate your team. I looked at many Popup extensions before finding this module by BSS. You make a really good extension and nice demo also. It shows all popup your extension support. That's great. I decided to buy it right after I tried demo. Keep up your good work for more excellent modules. Having read about Magento 2 Popup, at first, I didn't believe that various features can be included in one module at such an attractive price. I just tried some configuration on demo and it turned out to be smooth as described. Thus, I have Popup for Magento 2 extension installed on my sites and it's working perfectly. Thanks! popup extension is the missing piece for my site. good extension! Good extension to boost site! 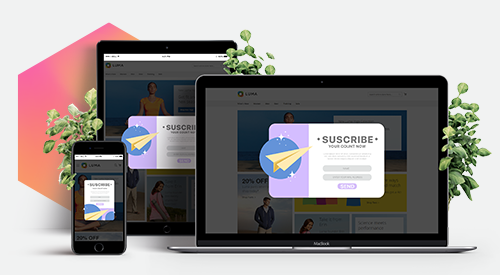 The feature that I like most about this extension is to allow add various popup types to the site for different purposes: advertising, noticing, getting more subscribers,...Also, your support team is really helpful. I can make many popup with your extension. Easy to use and create new popup. Just 1 suggestion: you can add an advanced feature of statistic report. I want to know the CTR, click, conversion of the popup. Anyway, your popup extension is cheap and good to use! This extension is what I've been looking for. Thanks to Magento 2 Popup extension, I freely create any types of popup as needed: promotion, add-to-cart, or newsletter pop-ups. This module is not only useful for running promotion strategies, but also improve customers' shopping experience. amazing!